Mark is the Chief Spark, more commonly known as the Managing Director. He has a long background in the education industry from an IT, building and energy perspective. Mark started Bright Spark in 2011 and its focus shifted solely to energy services in 2013. Mark Says "Bright Spark gives us the opportunity to make a difference - we are a company that is focused on ensuring that we deliver best value for customers and are motivated by doing a good job over profit." Outside of work when not looking after his two young children and growing dubious beards, Mark enjoys Rugby, Snowboarding, Scuba diving, sailing, cycling, watching Formula 1, Wine and infrequently shaving. 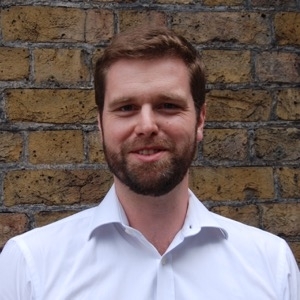 Grant heads up Projects and Operations for Bright Spark and is also the resident Solar PV expert. 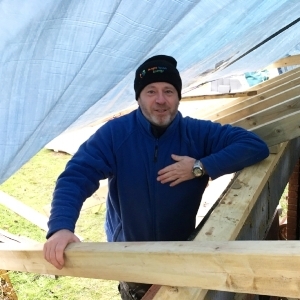 He has been working in the Energy Industry for over 20 years and has been involved in the installation of hundreds of PV systems as well as lighting and heating projects.
" We work without the normal limitations of most companies - the focus is always doing a good job for our customers over and above profit. Our growing teams work to the principle that 'Good is not Good enough, only Excellent will do'" says Grant. Outside of work Grant spends a lot of time charity fundraising, spending time outdoors (normally in a water related activity) and as he lives in "Torbados" this normally involves boats of some description. Saul is our Technical Director and has over 12 years’ experience in the trade. He has worked on a wide range of projects from domestic and commercial to industrial. Saul grew up in a small village in Bedfordshire where he trained as an Electrician, but moved to Devon in 2015 where he continued his career. Tara has recently joined Bright Spark to develop and grow the administrative side of the company as we grow. She has a strong background in working in a wide range of different companies - from start ups to multi nationals. Tara will be building a customer and delivery focused back office as well as marketing, finance and internal projects including managing the renovation of our new office. Due to the expansion of our energy procurement business we are working in a strategic partnership with Pulse Business Energy (part of the Arrow Communications Group). Pulse Business Energy are award winning energy brokers and will be managing the day to day requirements of our gas and electricity customers using their large team based from their Waterloo offices.